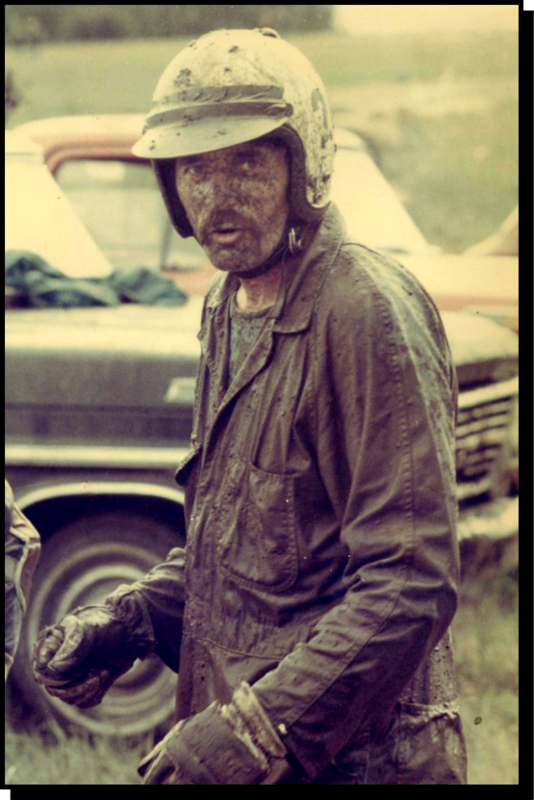 A lifelong ambassador for motorcycling taking his message to the world. 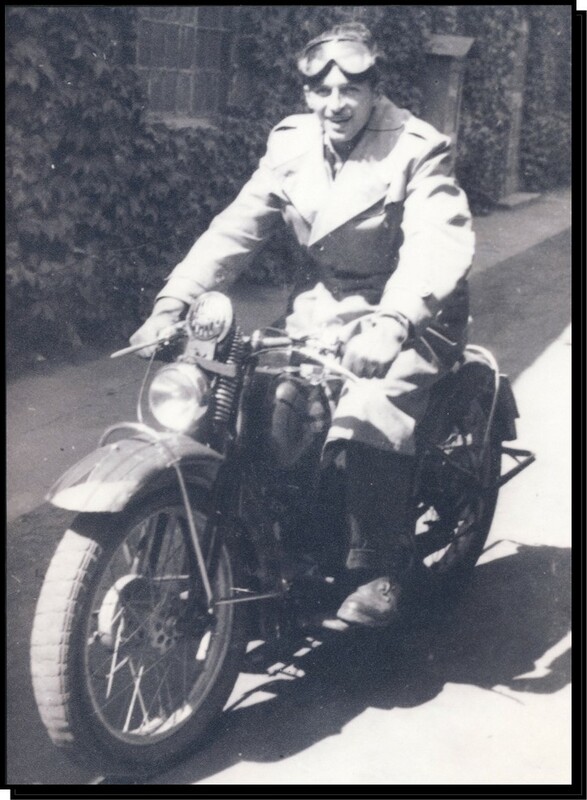 Rudi Zacsko Sr. is one of those people destined to change the face of motorcycling wherever he goes. 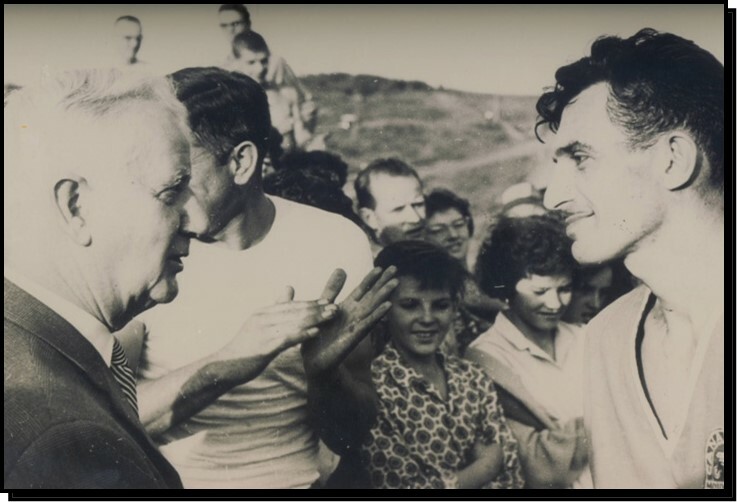 Canadas good fortune is that Rudi and his family elected after the Hungarian revolution of 1956 to build a new life here. 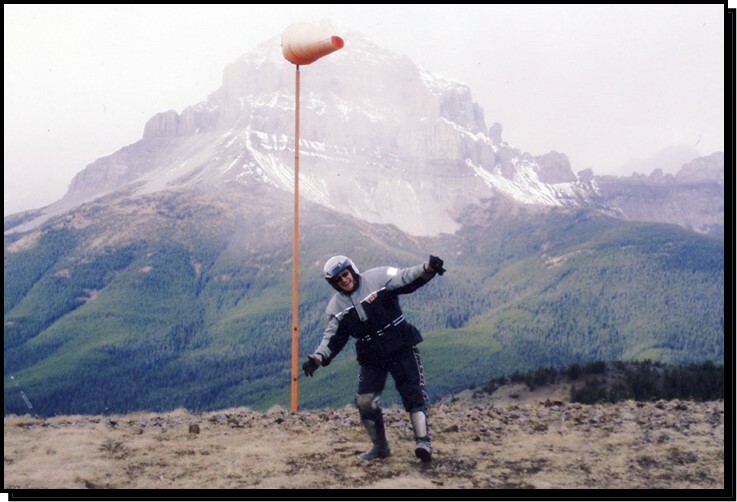 He had noted on a map that Edmonton was close to the Rocky Mountains, and since his arrival in Canada in 1957 motorcycling and the great outdoors have been his life. Not inclined to think small, Rudi resumed the riding habit he had enjoyed in Hungary by buying a 500 cc Norton ES2, which was a big machine in 1957. He recounted once being fined $1 for a non-working headlight and having to stay at the YMCA in Lethbridge over night for another $1. But then the bike cost only $50. 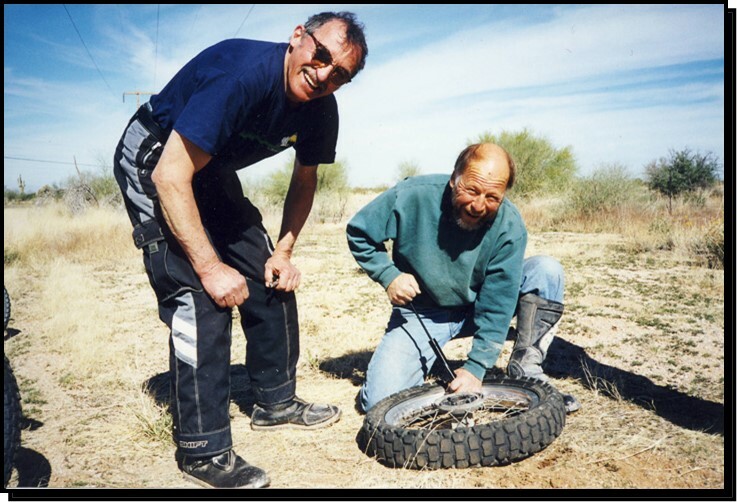 Road riding was enjoyable, but off-road competition soon became a passion which Rudi indulged with a 650 cc BSA Super Rocket that he entered in scrambles and hill climbs with the Edmonton Motorcycle Club. Lighter weight motorcycles were becoming more competitive, and Rudi traded the BSA for a Royal Enfield Bullet and then a two-stroke Greeves, a real off-road machine of the time. 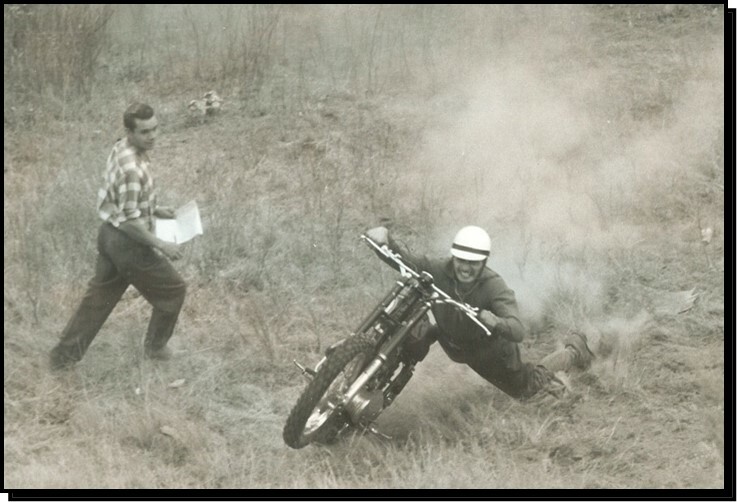 He placed second in the Canadian scrambles championship in the expert class in 1964. The same year he represented Canada at the Motocross des Nations team competition in England. 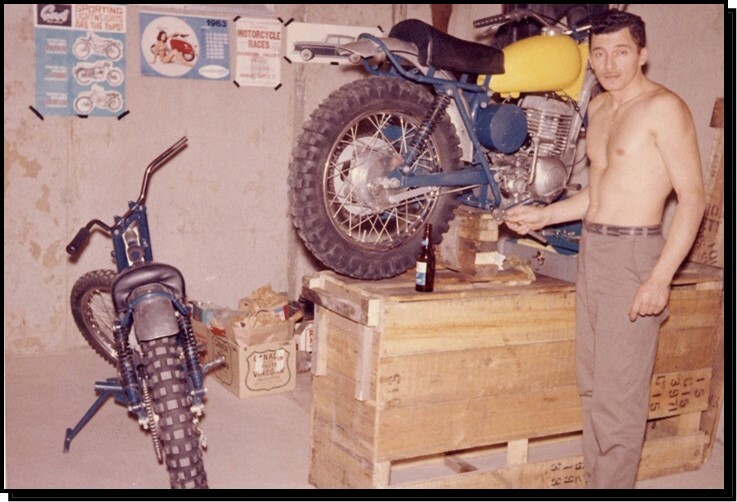 Rudi continued his racing efforts in all forms of off-road competition but in 1968 also took the bold step of opening his own motorcycle business, Scona Cycle. 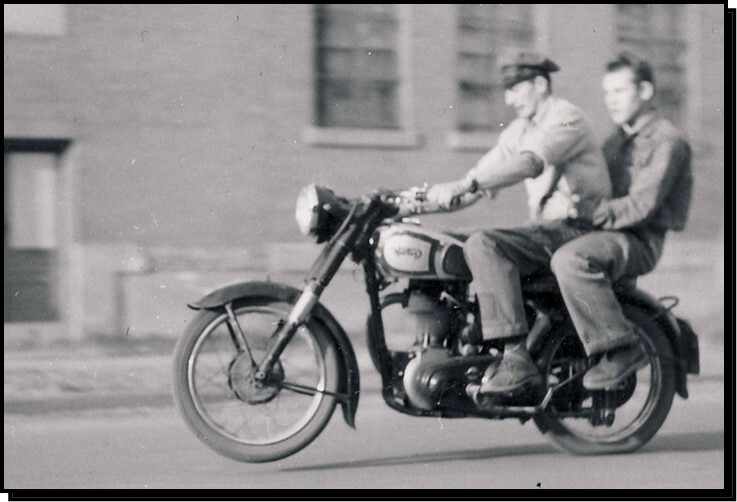 The Edmonton dealership sold Moto-Guzzi, Bultaco and Honda, and two years later Rudi was joined by his brother-in-law Zoli Berenyi Sr. who took charge of Sconas service operations. 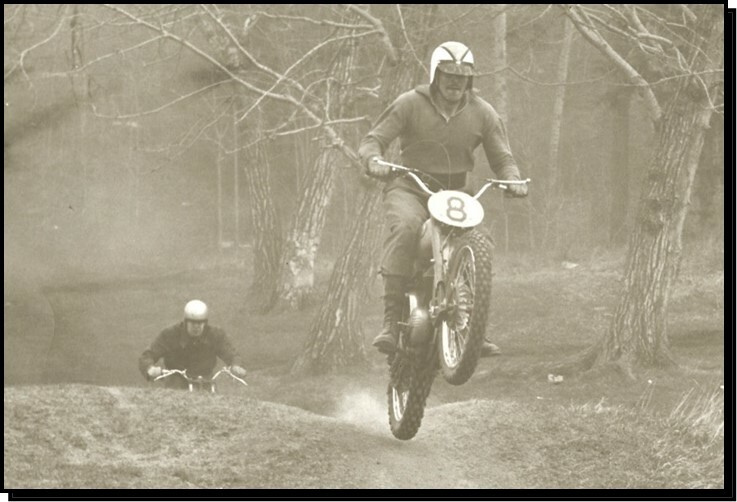 Zoli and Rudi senior and junior have among them won countless provincial and national motocross championships. The Edmonton Motorcycle Club for years hosted a round of the Canadian motocross championships. 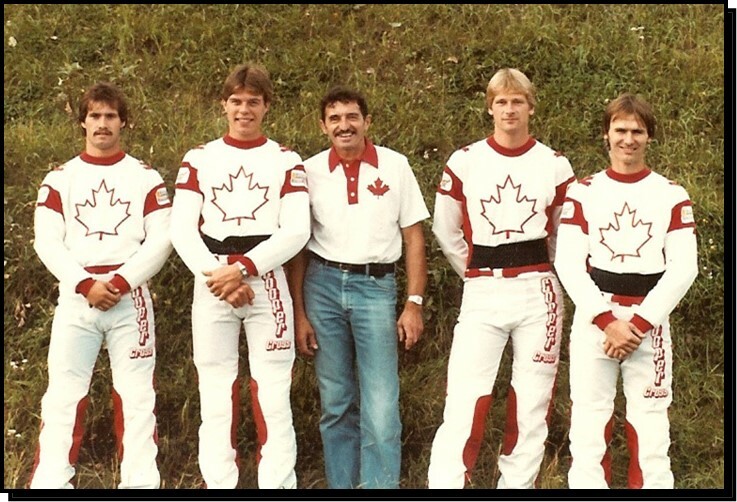 Rudi accompanied the Canadian team to Europe as manager of our Motocross des Nations entries during the early 1980s and this past November served as manager for our team entry in the International Six Days Enduro in Chile. Rudi has taken a strong interest in promoting the motorcycle community, serving at various times as president of the Edmonton Motorcycle Club, director of the Canadian Motorcycle Association, founding member and past president of the Alberta Off-Highway Vehicle Association, volunteer steward of the Redwater Natural Area for 14 years, and director of the Redwater Riders Club. 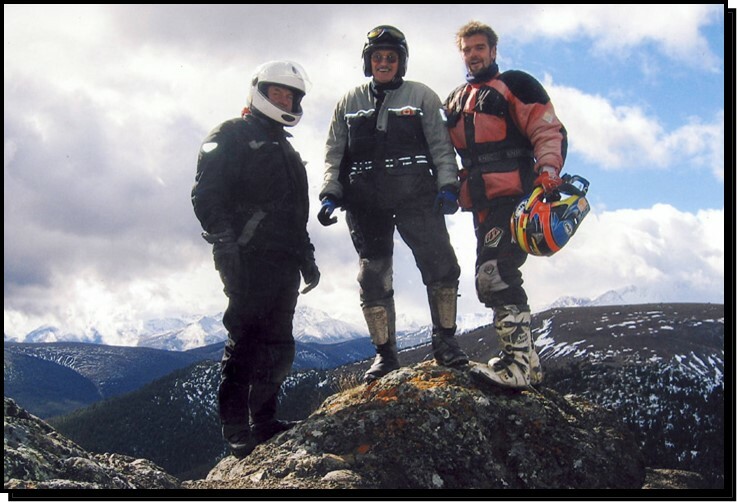 He has been vigilant in defending the interests and reputation of motorcyclists in Alberta, frequently intervening with government and media to foster greater respect for riders rights of access to trails and riding areas. When land closures have threatened those rights, Rudi has been a consistent and strong advocate for educating the public about responsible land use. The family business has grown steadily over the years and has been exclusively a Honda dealership for more than 35 years. Taking baby steps to growth has helped arm against boom and bust periods in motorcycling, with additional staff and moves among several locations to accommodate increasing demand for their products. The current staff of 25 nowadays counts among their customers the grandchildren of those who came to them for a minibike 40 years earlier. Zoli Sr. retired in 2000 but Rudis daughter Katherine and son Rudi Jr. remain with the business and many other personnel have spent decades with Scona Cycle. Their accumulated base of knowledge is an invaluable resource for experienced and beginning riders alike. At age 77, Rudi remains as keen as ever, having switched his focus from competition to road and trail riding and long-distance touring. 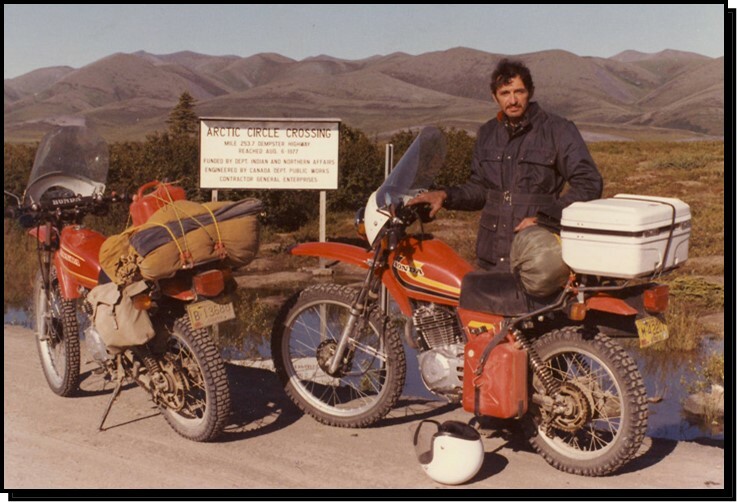 Since 1980 he is been from Inuvik to Tierra del Fuego by bike, usually a single-cylinder Honda XL or XR dual-purpose machine on which he may log upwards of 10,000 km on a single trip. The Hondas capability on dirt roads and trails allows them to avoid major highways and big cities, concentrating on out of the way places and a true experience of their surroundings. 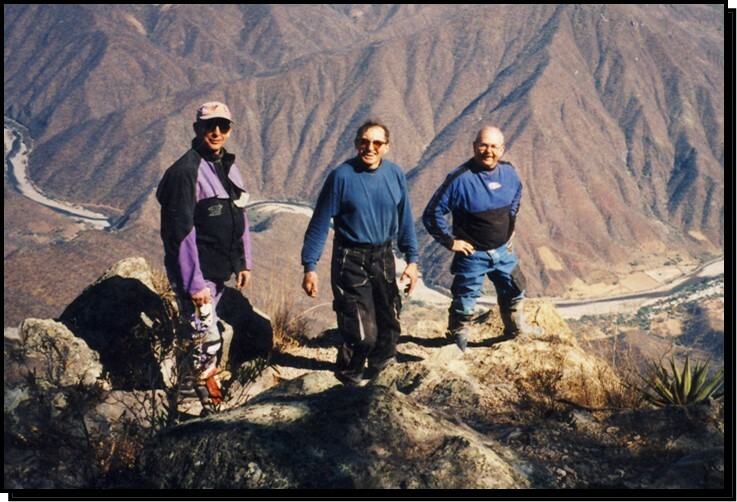 Many of his rides take pace during our Canadian winter and involve trailering the bikes of himself and a couple of like-minded friends to the southern U.S. Then they unload, put the tow vehicle in storage and ride off to Mexicos Copper Canyon or the Panama Canal. Rudi is invariably the oldest rider in the party and his working knowledge of the Spanish language helps ease their path. 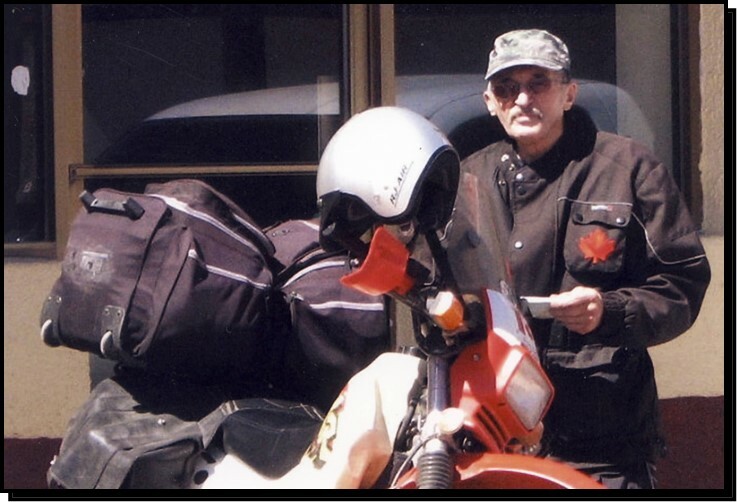 As a lifelong ambassador for motorcycling, Rudi Zacsko Sr. has taken his message to the world.